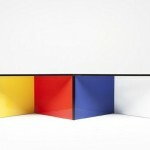 Do you have a tiny house with the narrow room? 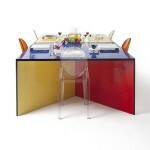 You want to know how to set the table in the narrow room? 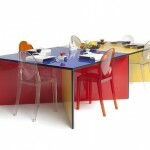 Here’s an example image dining table with colorful designs or colors may be an inspiration for designing the narrow dining room in order to looks spacious and airy. 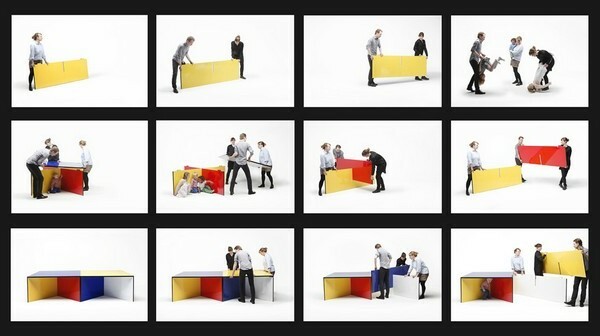 These colorful dinner table designs are created by Helsinki KAYIWA studio, it’s made of plywood used as substitute for traditional solid wood for giving nice effect and anti-humidity. 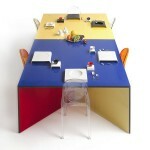 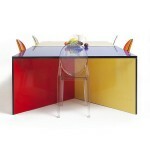 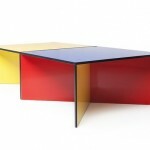 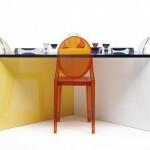 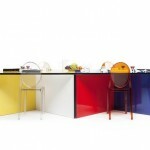 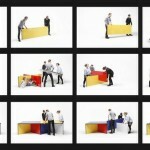 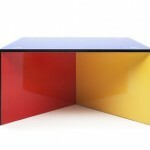 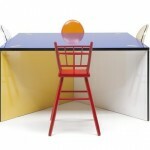 You can choose from three color table – red and white, blue white or yellow white.